The Purple and WhiteDo Shows About Mental Disorder Create Awareness or Cause Issues? Netflix original film "To the Bone" starring Lily Collins. Photo Courtesy of Netflix. When “13 Reasons Why” was released, I was hesitant to watch the show. I read the book in high school and enjoyed it, but I wasn’t sure if I would also enjoy watching that book in television show form, since it is about suicide. I ended up watching the whole season a few months later, minus the last 20 minutes of the finale, since my dad made me stop watching it because I almost passed out due to the graphic showing of her suicide. I did like “13 Reasons Why”, but only to a certain extent; I think that the show glamorized tragedy. Recently, I watched the Netflix film, “To the Bone”, starring Lily Collins, and it reminded me of “13 Reasons Why”. In “To the Bone”, Collins plays a girl named Ellen who suffers from anorexia nervosa, a disease that makes one obsess over losing weight by not eating. The film is about her journey to become healthier, and it depicts her struggles with her disease. I did enjoy watching this movie, due to my love for Collins and the cleverness of the screenplay, but at the same time my mind went back to glamorizing tragedy. An article from USA Today said that Collins had to lose weight to play the role of Ellen, even though she used to have a severe eating disorder. Although she was given a nutritionist to make sure she was losing weight healthily, it was probably still a very hard transition for her—both physically and psychologically. I think that any film or show that is about disease or tragedy glamorizes those issues to an extent. 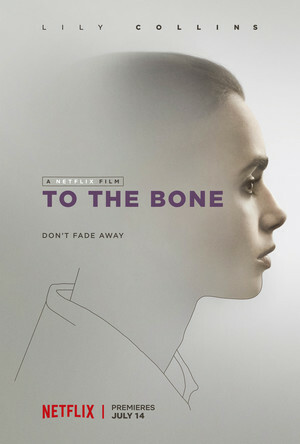 However, while “To the Bone” focuses on hope for the future and recovery, I personally think that having the always beautiful Lily Collins star in the film would have a negative effect on viewers. I think this is true because even though Collins looked sickly in the film, she also made it clear in an interview with news.com.au that she had a nutritionist to make losing the weight healthy; in my personal opinion, if someone saw that and realized she was still considered healthy, they would think that it would be healthy for them to do the exact same thing. “13 Reasons Why” is about a girl named Hannah Baker who commits suicide, but not before leaving 13 tapes for people who were involved in the reasoning behind her death. It’s important for people to be aware of these issues, and I understand when people say that “13 Reasons Why” made them think about how they treated others. It brought serious issues to light that needed to be discussed. However, the show also romanticized suicide, with its indie soundtrack and creative perspectives; it even inspired people to do the same thing. According to an article from Fox News, two people committed suicide after watching the show, and another article said that a man did the exact same thing as Hannah Baker, sending tapes to people after he ended his life. Both “To the Bone” and “13 Reasons Why” contain informative content that’s portrayed in a creative way, and both shows force people to think about the issues at hand. I think that in their attempt to be creative, both Netflix pieces glamorized the idea of tragedy. I think that “13 Reasons” was more obvious when it came to romanticizing suicide than “To the Bone” was with glamorizing anorexia, but both of the pieces still put tragedy in a enchanting light.